What Does Bubble Tea Have to do With Twitter? I’ve been having some fun digging through the history of Twitter using the service “oldtweets”, which lets you search through the first year’s worth of tweets for any user you like. thinking we would get sued by Quickly! International Bubble Tea superstars. Quickly! I visited a Quickly shop today in San Mateo and snapped the picture you see up top. Can you imagine our beloved Twitter being named Quickly? I don’t even know what the version of “tweet” would be for a service named that. 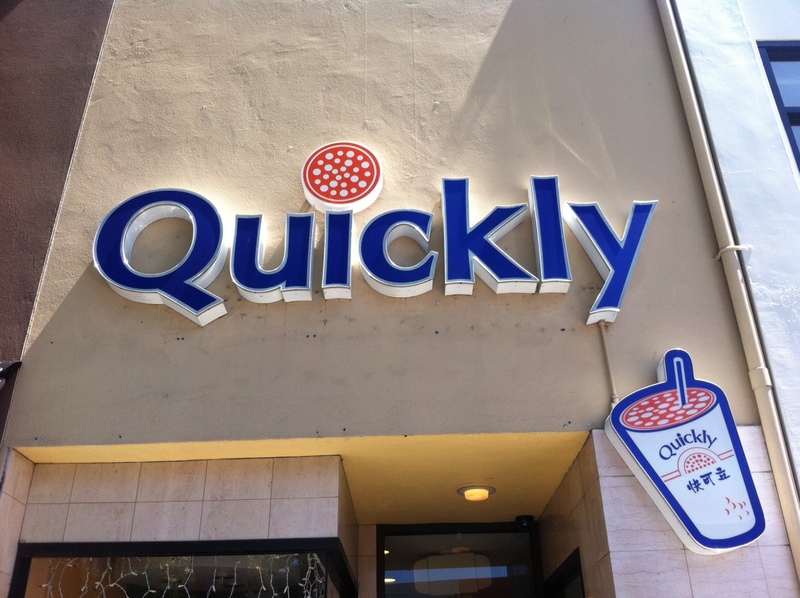 A “Quick”? “I quicked 30 times today.” Yikes. Thanks for sticking with Twitter, Jack.